Vijayawada, 27th June 2016: Swedish luxury car manufacturer Volvo Auto India today inaugurated its biggest dealership in the country in Vijayawada, Andhra Pradesh spanning over 26,000 sq. ft. across 3 floors in a splendid structure which resembles a true Scandinavian ambience. The fully frosted-glass covered building with a light bluish tint appears as if it is located in some snow-clad mountain range in the Scandinavian region. If you are wondering what is the Scandinavian region, the answer to it is that it is the name given to the culture & geographical location that exists in North Europe comprising of countries like Norway, Denmark, Sweden and few others. The dealership under the name SRK Cars is owned by Mr. Manoj Krishna, who also partly owns another Volvo Cars showroom in Vishakhapatnam. The state of Andhra Pradesh now has two authorized Volvo Cars dealership in two of its big cities. “India is a big growth market and we are continuously expanding our dealer networks with additional cities coming up later this year. This visibility not only enhances customer’s confidence but also helps us fully capitalize the opportunities available here for our brand. 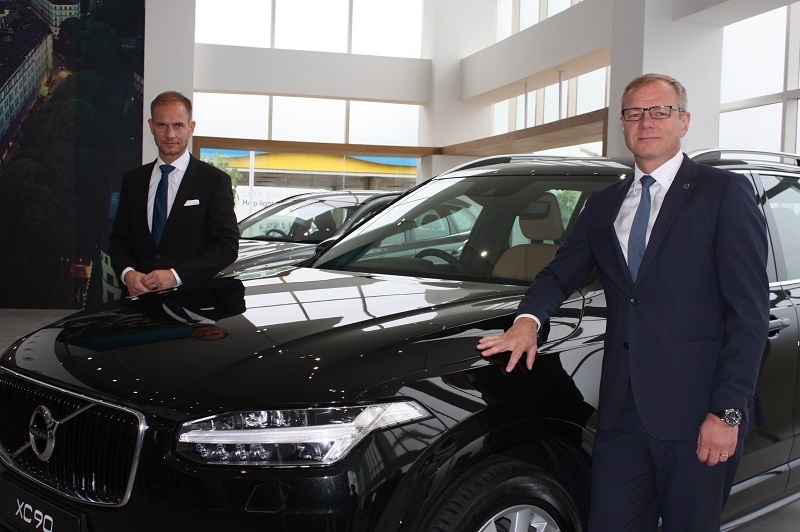 Volvo cars will continue to strengthen its national footprint across the country and create more value for its customers by providing unparalleled Swedish luxury, modern Scandinavian design, class-leading safety and services to our customers”, he further added.